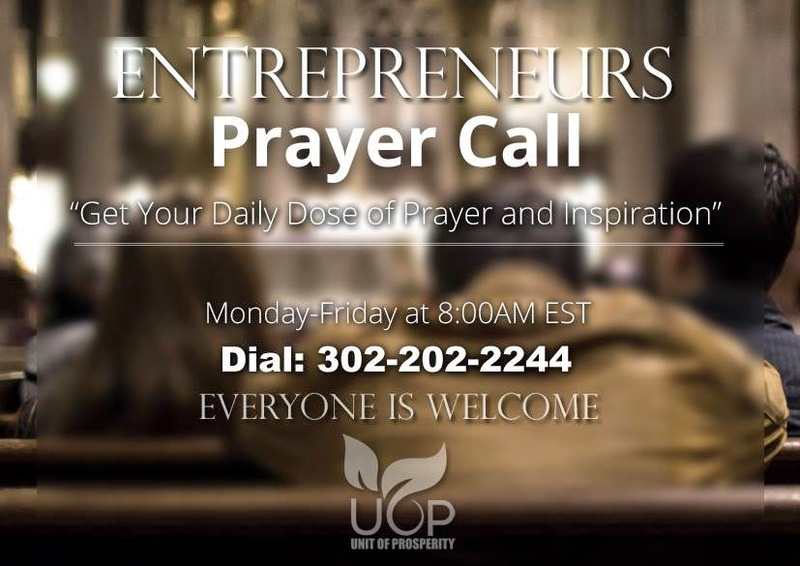 Set the Alarms on your smartphones or bedroom alarms for this weekly Prayer Call for Entrepreneurs, hosted by the Unit of Prosperity Team. You are welcome to join us! We all need support from each other from time to time. Strength lies in numbers and with that strength you can do great things. Prayer is a great tool for leading and guiding you through big decision, current troubles, everyday-life roadblocks, and self-undermining thoughts that prevent us from taking action on our goals. If you desire a place where you can come anonymously to fellowship with other entrepreneurs, then I welcome you to attend this weekly, morning, call. PIN is: No Pin needed! P.S: Don't forget to share this with someone you love and care about. This resource may be just what they need to get them back on track as an entrepreneur or in their current business.